CBG International Sp. z o.o. CBG IT, the company's fastest growing business area, specialising in multilingual system solutions and processes, offers services including project management, software development and programming support. 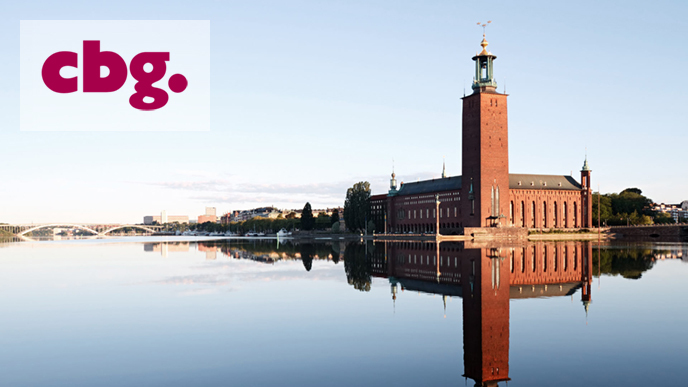 The Translation System Operations Team is based in Stockholm, Gothenburg, Barcelona and Warsaw. CBG IT is the company's IT department, which specializes in multilingual system development and support, as well as consultant services including project and product management. CBG IT’s Research & Development (R&D) team is expanding to accommodate the increase in customer projects. Therefore, we need to strengthen our team in Warsaw with an experienced full stack C# developer, who will be part of the entire system development life-cycle, from design to deployment in challenging projects using modern software development framework and tools. Participate in the specification and estimation of requirements. Contribute to the design and architecture phase. Undertake new development, maintenance and upgrading/refactoring of code. Provide expertise and support within the software development area. Perform version control and documentation of code. CBG IT offers a creative and collaborative workplace, with great opportunities to develop professionally and advance within the company. We are looking for someone with at least one year’s full-time work experience in C# development. You should be a structured and goal-oriented developer, with an interest in all aspects of IT, and who will thrive in a dynamic work environment. Text encodings, Unicode, code pages and other language-related technologies. Other programming languages, such as Delphi, Python, Java, F#, VB. Additionally, we are looking for someone with effective team collaboration skills, as well as being self-motivated and proactive. The ability to communicate in English both written and verbal, at a business-level proficiency, is required. Office in a location with good communications. Comfortable room for the R&D team. Full programming set: laptop, dock-station, 2 screens, newest software (VS 2017/2019 + R# etc.). Pluralsight account (access to variety of video training courses for software developers, IT administrators and creative professionals). Opportunity to practice your English in a professional environment. Private health insurance and subsidized training card. You can initiate the application process via "Aplikuj" by submitting a CV and a Cover letter in English describing your interest in the position. Please note that the position may be filled prior to the closing date for applications. Please apply as soon as possible as the position may be filled prior to the closing date for applications.